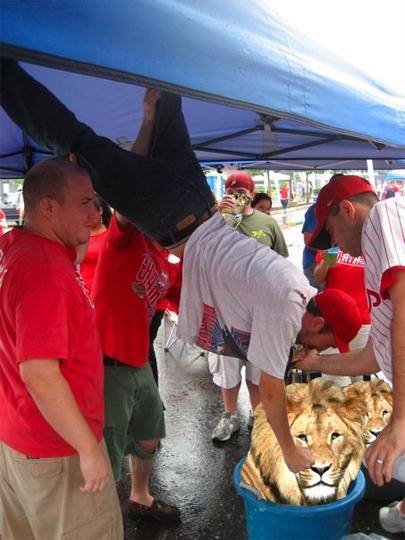 In this fun pre-game activity you see how long you can balance on a Boozecat. is that a keg of lions head? I needed to draft you a bit of note to say thanks a lot over again for your personal extraordinary methods you’ve discussed here. It’s so tremendously generous of people like you giving openly what exactly numerous people would’ve distributed for an e book to generate some money on their own, mostly seeing that you might have tried it if you considered necessary. The guidelines as well acted as a easy way to be aware that the rest have similar interest really like my personal own to know the truth great deal more pertaining to this issue. I know there are a lot more enjoyable moments in the future for individuals who see your blog.